Thank you to Lynn and Amy of The GameBoard in Sheboygan, WI, for all of their encouragement and support of the new Munchkin Collectible Card Game in their store. 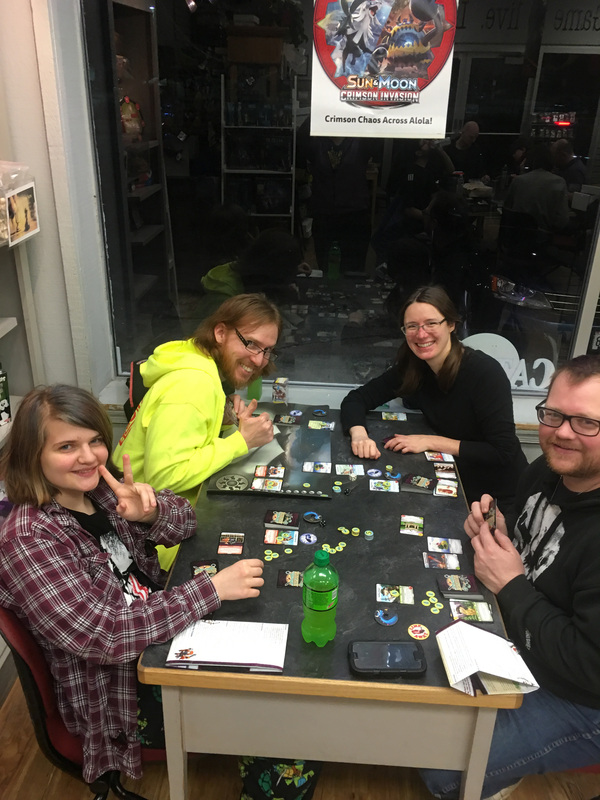 The GameBoard was kind enough to host one of our pre-release events earlier this year (report here), and now they're running a weekly league; gamers are getting together on Tuesdays at the store to compete against each other! The first league night was last week and was attended by players from 14 to 49, showing that age is no obstacle when it comes to bluffing and battering your opponents. If you're in the Sheboygan area, please visit The GameBoard on Tuesdays and ask to join their Munchkin Collectible Card Game league. If you're not fortunate enough to be near the store, please check our game store finder to find the store closest to you . . . and then let your local store know that you would like to join a Munchkin Collectible Card Game league. A local league will give you and your friends a chance to compete regularly and show everyone how much you're enjoying the new game. If your store is running a league -- or draft events -- please let us know! Post in our forums, comment on Facebook, send us a message through Twitter, or even send us an old-fashioned email. Thanks!